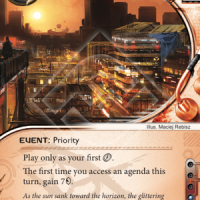 Bitstream plays SYNC and tries a whole new way to win at Netrunner. How will Axul’s Valencia defend herself? If you like good chances, you’ll love this one. Bitstream’s SNYC against Jackmade’s Andromeda. Enter the top cut. Agendae plays Reina Roja against Jackmade’s NEH. You think somebody Brainfarted. But then you realize you’ve Brainfarted all along! DUN DUN DUN! The days of FA NEH are numbered. We see the last instances of NEH here before the MWL 1.1 as ff0x plays it against Jackmade’s Andy. But don’t worry, for FA.. uh.. uh… finds a way. We bookend our coverage of the Regionals of this Season with the Regional in Hiveworld Cologne. Still in the pre-MWL2 meta but no less exciting. We kick off with selected games from the Swiss rounds and CodeMarvelous from ANR Blackhats as co-pilot. In this finale Jackmade’s Andy meets Elodius with an NEH. Elodius will have to shuffle that HQ REALLY good to keep his agendas hidden. It’s the Top3 and in this first game we have a crazy Mythras Valencia against Jackmade’s NEH.